The forecast indicated a 80% chance of rain, and rain it did! Torrential downpours for most of the morning and early afternoon. The rain could not contend with resolve of this bride. While in route to the reception (a 35minute drive), the bride asked if we could stop briefly by a local church to visit her mother's bench. This memorial bench rests at the foot of grand oak trees in a small rural community. 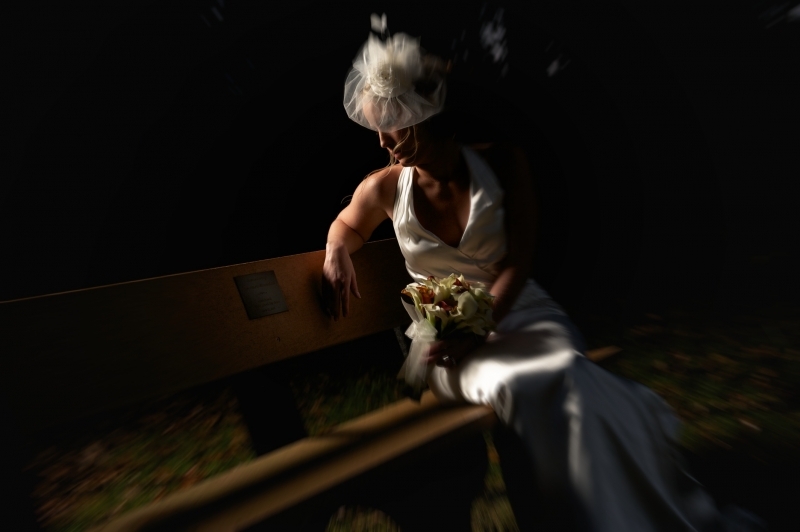 The inscription on the bench reads, "loyal friend & school bus driver" While the image itself is not groundbreaking; for this bride, the significance of this moment, recognized, and captured is her own personal pulitzer, her own personal treasure.. I am am happy to have been a part of it.